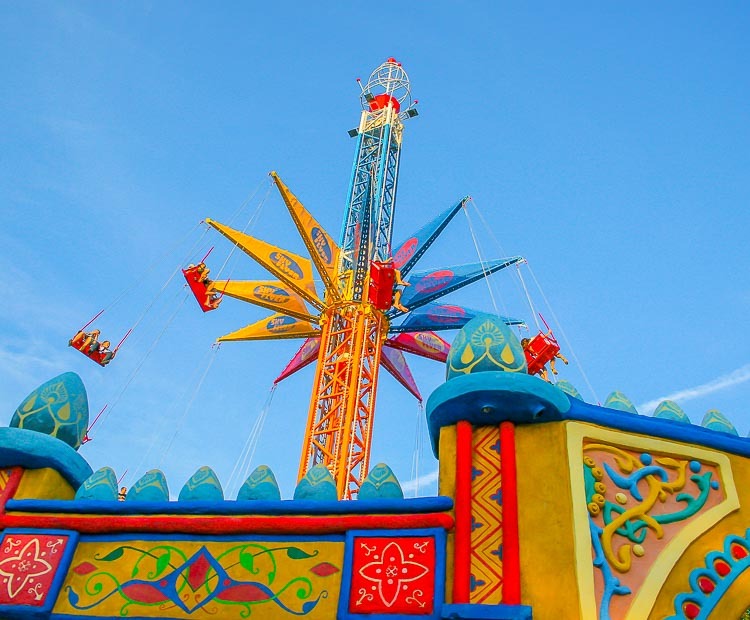 Zamperla is proud to present the latest new tower ride: “VERTICAL SWING – Dancing in the Sky”. 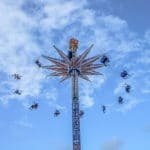 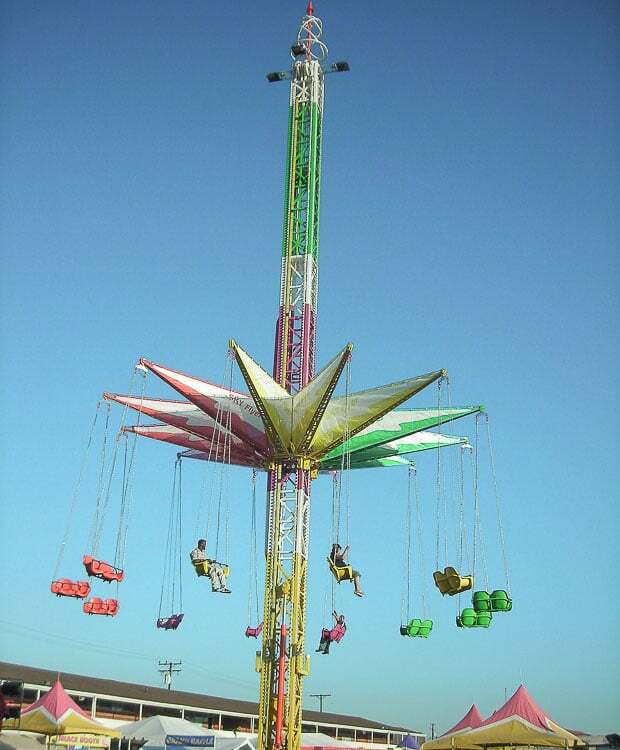 The Vertical Swing offers a spectacular view of the midway and is a perfect centrepiece for any family-thrill area. 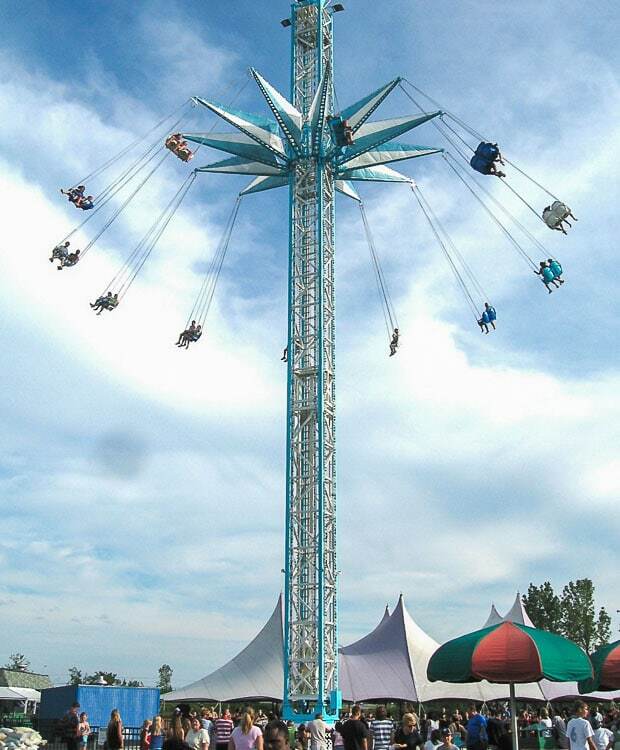 Standing more than 38 meters / 125 feet tall (top sign/decoration included) the VERTICAL SWING is a high impact and high capacity ride in a small footprint. 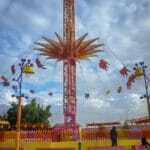 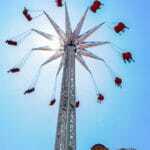 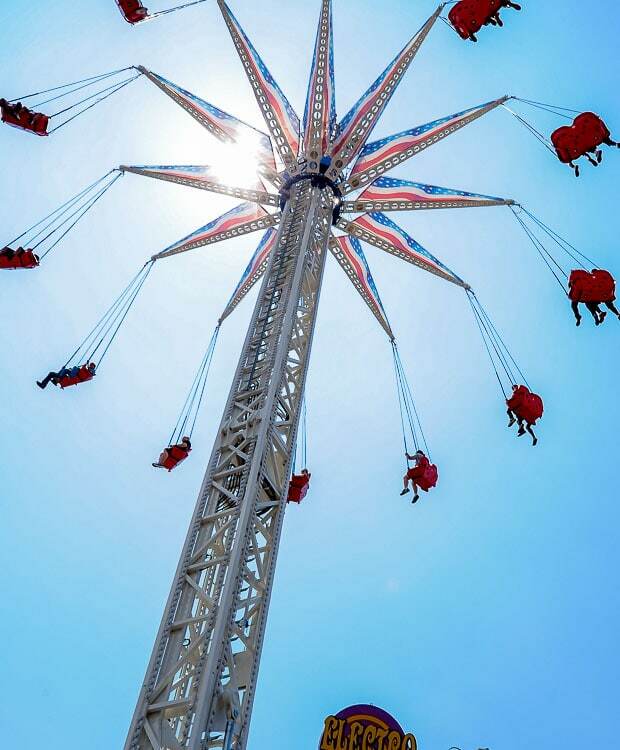 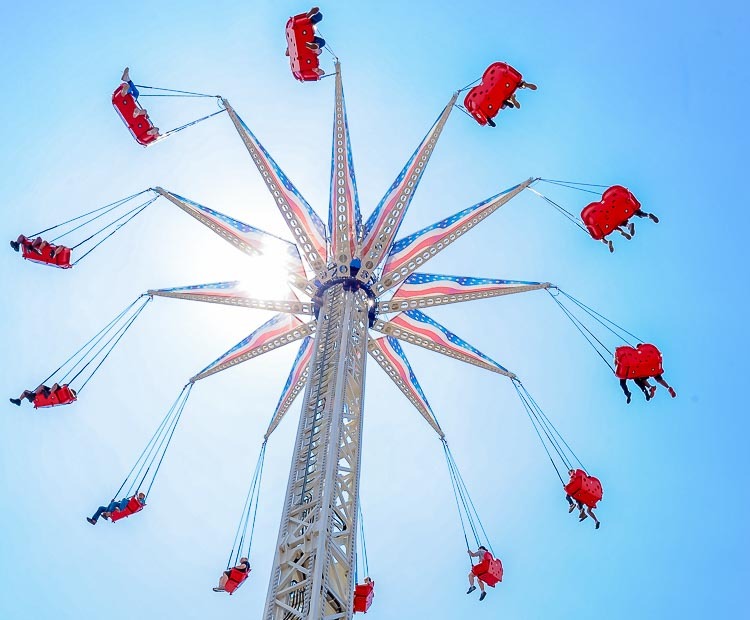 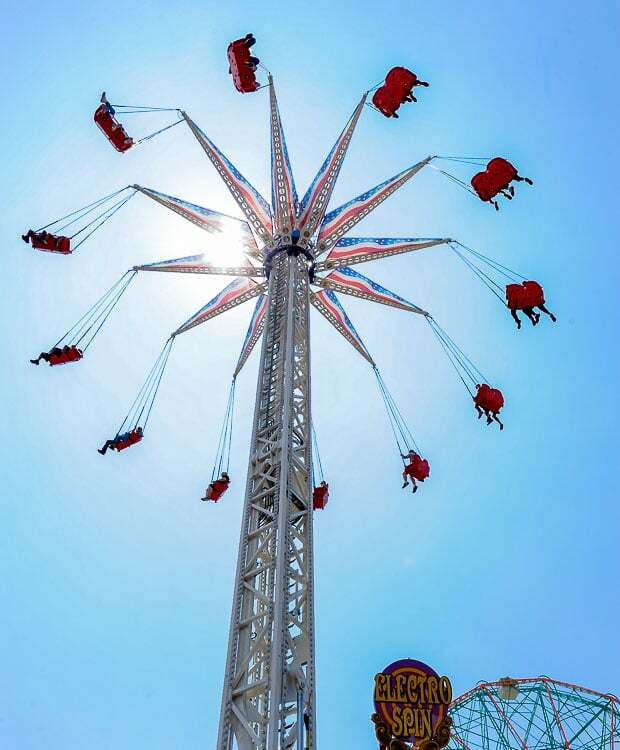 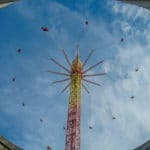 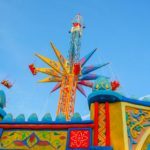 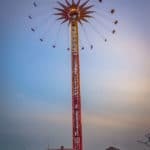 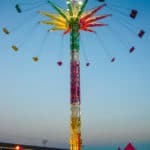 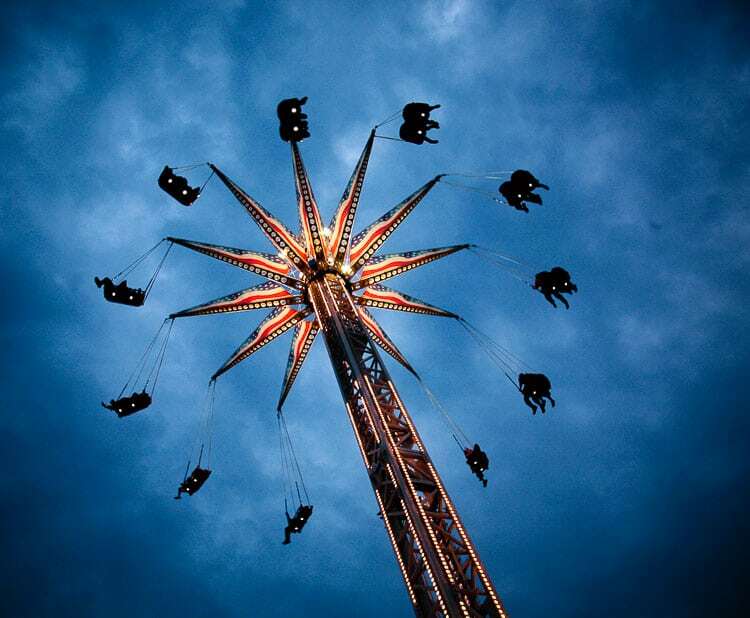 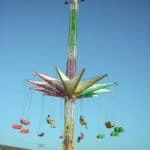 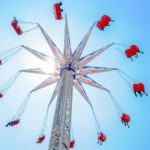 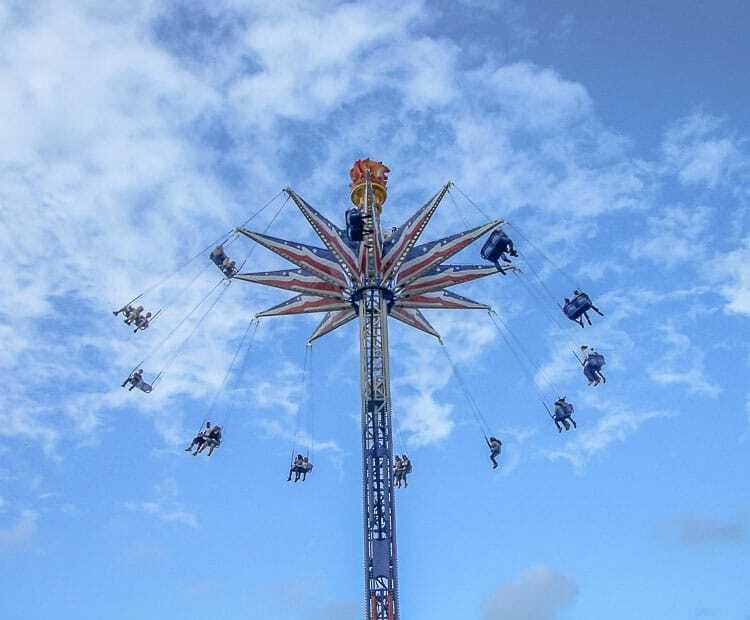 The ride is made by one 33 meters / 109 feet tall tower, one rotating+lifting center equipped with 12 single-connected arms and 12 double-seat chairs hooked with 4 chains each. 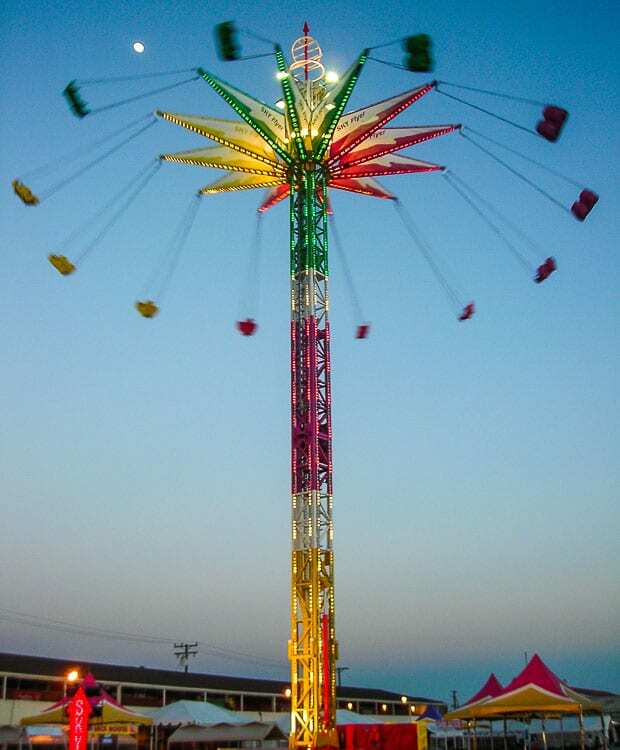 Vertical Swing can accommodate 24 guests and comes complete with a customized themed top decoration and neon or turbo lights on all four column sides. 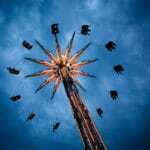 The rotating center reaches a maximum speed of 10 r.p.m. 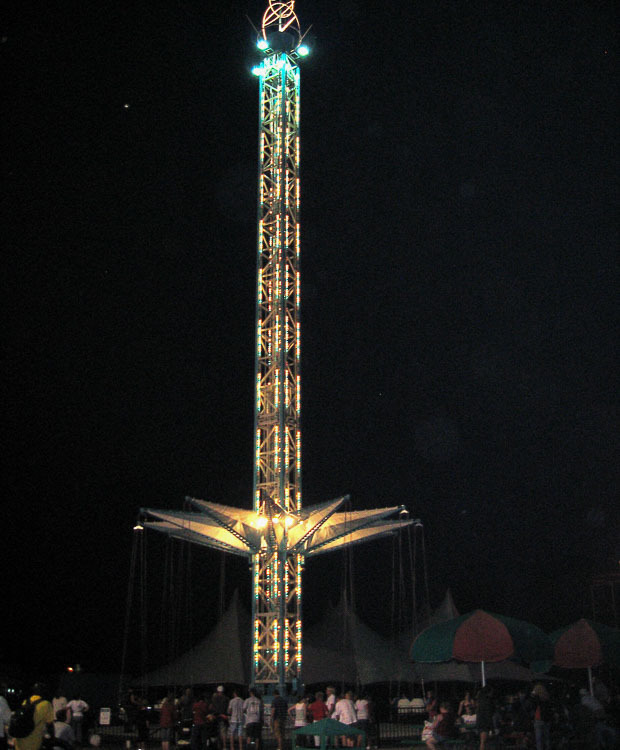 and it reaches also a maximum height of 31 meters / 102 feet. 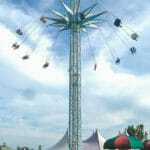 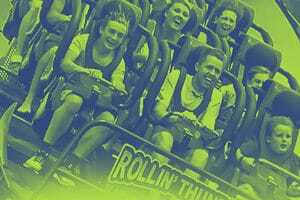 The hourly capacity of the ride is approx. 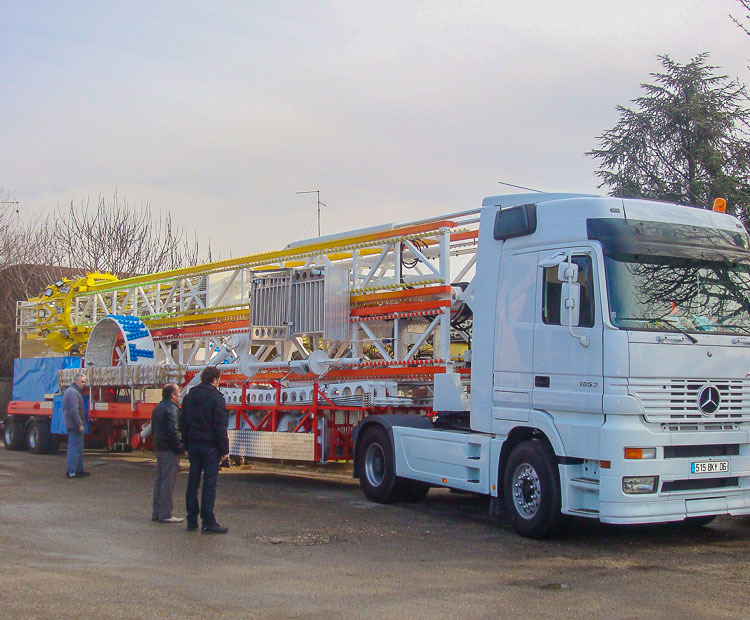 600 p.p.h.. Zamperla is also proud to present the latest new portable tower ride: “VERTICAL SWING – A new way of fun stored in one single trailer”. 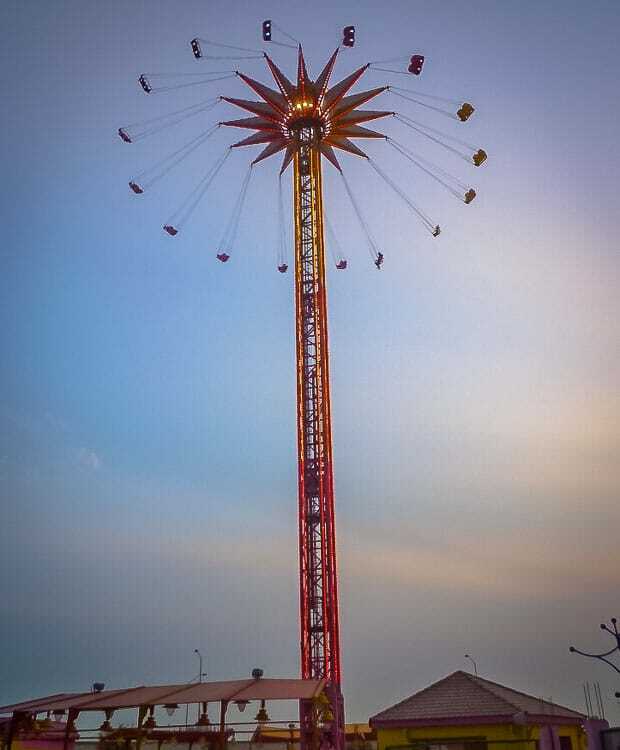 Standing more than 30 meters / 98 feet tall the VERTICAL SWING trailer model can accommodate 24 guests and comes complete like the park model, all stored in a 16 meters / 52 feet single trailer. 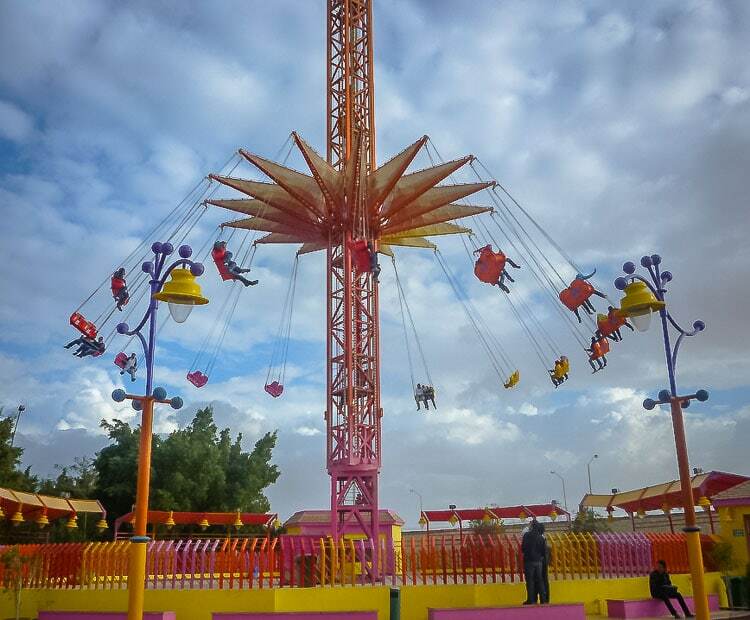 A smaller version with the same capacity and a tower height of 27 meters / 89 feet all stored in a 13,60 meters / 45 feet single trailer is also available. 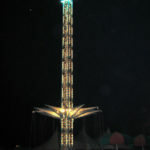 What makes the portable ride unique is the rotation made with the entire tower (instead of a rotating center only). 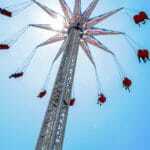 It reaches a maximum speed of 12 r.p.m.. 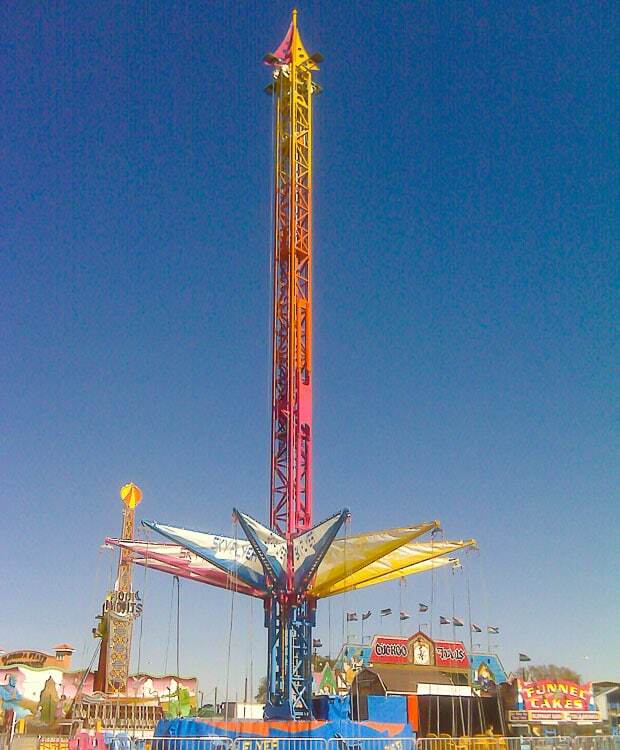 The setup is easy and takes about half a day. 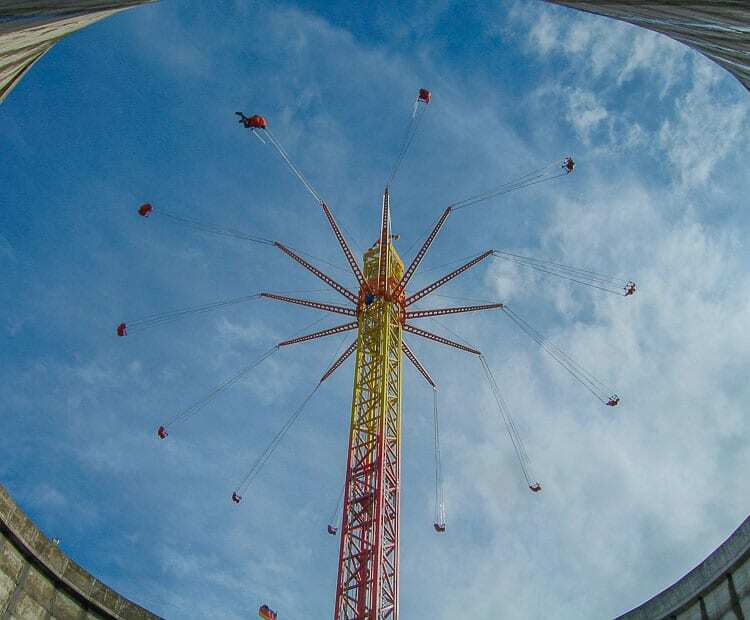 Hydraulic extension: no cranes needed!!! 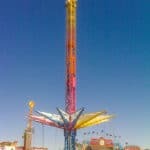 Do you need more information about Vertical Swing?